The Accuracy International AW. 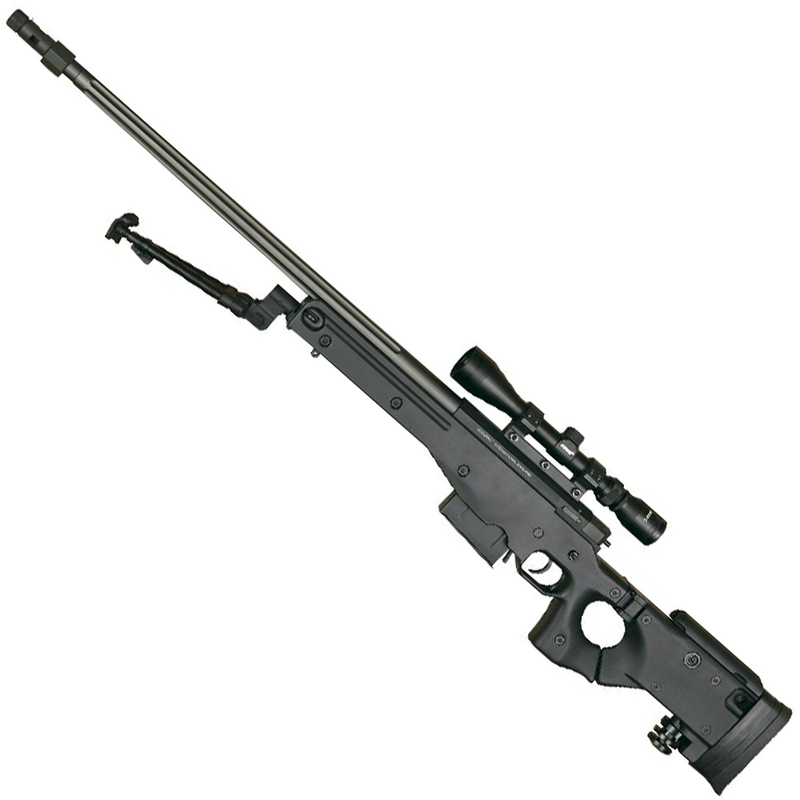 338 sniper is known for its many appearances in blockbuster movies and popular computer games like Counter- Strike. 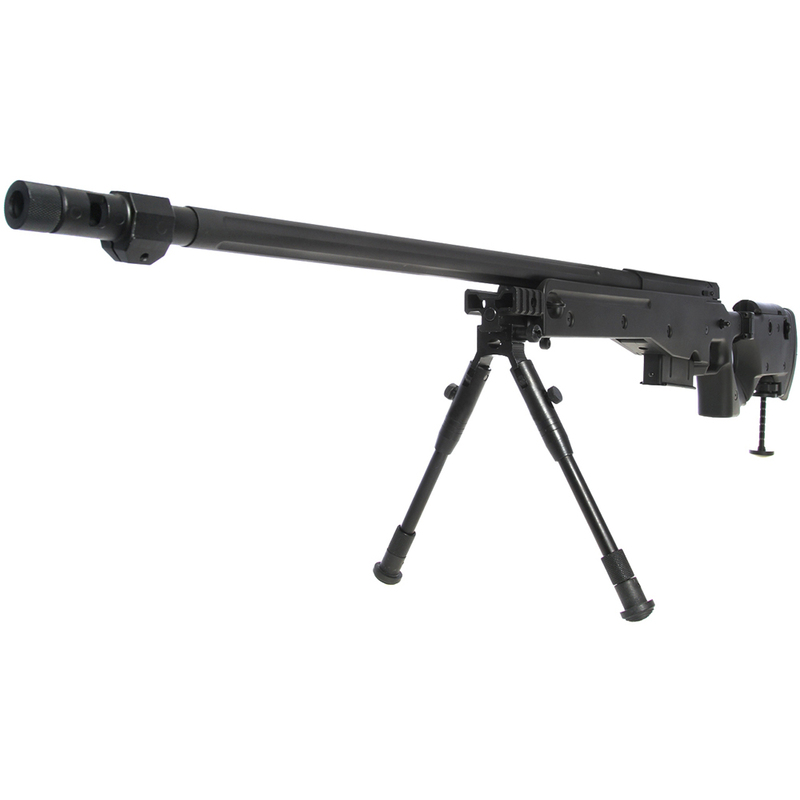 It has seen service in several military units all over the world. This AW .338 Spring version has a very consistent power and there are many upgrade parts available. It come with a foldable stock and adjustable cheek rest. Furthermore the rear of the stock has a mono-pod that acts as an improved shooting platform. 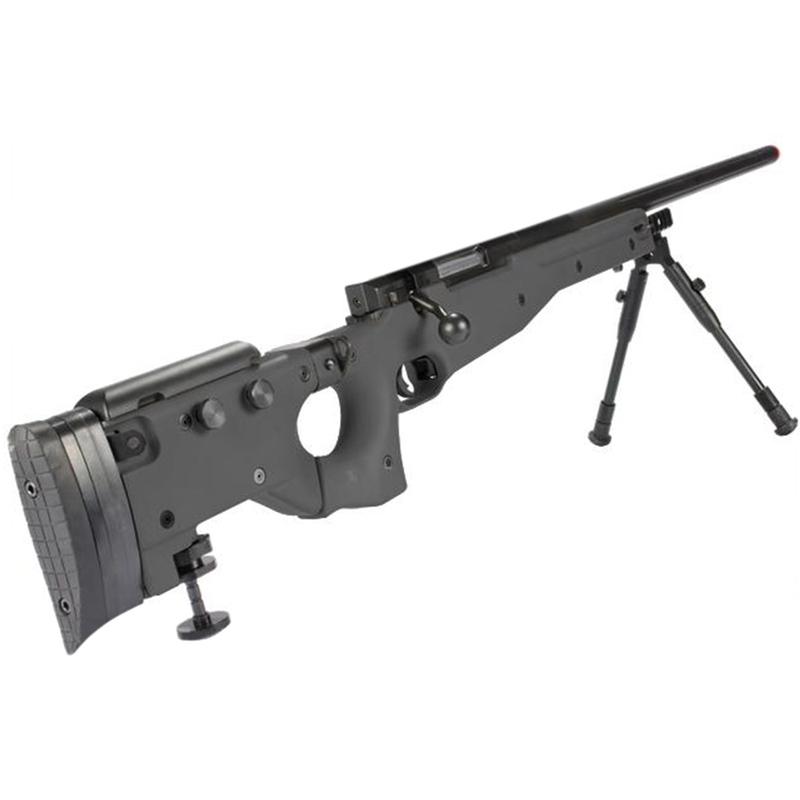 The sniper rifle has a nylon fiber body and CNC made metal parts and barrel – The details that has gone into the making of this rifle makes it an extremely realistic replica and a true one-of-a-kind Airsoft replica. 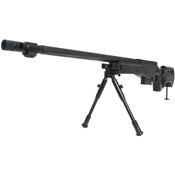 Included are scope mounts and a quick release bipod. US version comes with required orange tip.